The recklessness of the too-big-to-fail banks almost doomed them in 2008, but they haven’t learned their lesson. Today, the top 25 US banks have $222 trillion of exposure to derivatives. This is approximately the GDP of the US times twelve. As long as stock prices continue to rise and the economy remains stable, these financial weapons of mass destruction (probably) won’t take down the entire financial system. But another major crisis will inevitably happen, and the devastation these financial instruments will cause will be unprecedented. 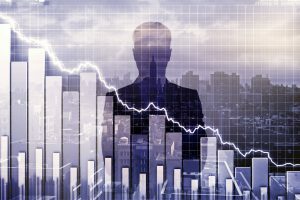 During the financial crisis of 2008, derivatives played a starring role, and taxpayers were forced to bail out companies that were on the verge of collapse because the risks they took were just too great, and now it is happening again. In the search for higher profits, all of the too-big-to-fail banks are gambling, and a lot of these bets are going to go bad. Some investors, such as Warren Buffett, are positioning themselves to take advantage of the crash that is inevitably coming. Buffett’s Berkshire Hathaway Inc. is hoarding $86 billion in cash in case of a major stock market downturn, and the signs are that he might not have too long to wait. For the moment, financial markets remain completely disconnected from hard economic data but, as in 2008, they can plunge rapidly once they start catching up with the real economy. Warren Buffett is clearly getting prepared for the crisis that lies ahead; are you?